So, I think I've mentioned before that I'm not sure if I want to get married, therefore crushing all of my mother's hopes and dreams, and I'm also not big on the whole dating thing either. I just like being single. But the thing is now Dad's against me! A Green Bay Packers dating site. The obvious question here is if this is a site for dating Packer players, in which case I might consider for the money, or just Packer fans? Upon investigation...it's just the fans. I don't want to date them, they don't have the money and any money they do have just goes to the Packers. 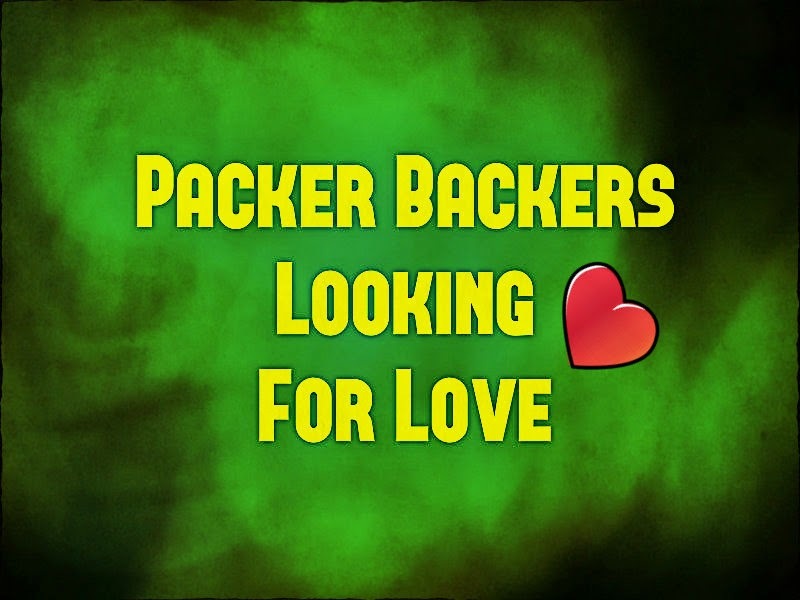 They are just Packer Backers looking for love. Too bad I don't meet the qualifications for signing up. I'm not looking for love nor am I a Packer fan.